Stewart-Haas Racing filed court documents this week, detailing the value of Nature’s Bakery’s sponsorship of SHR’s No. 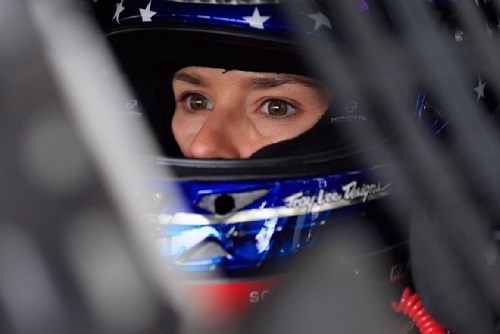 10 Monster Energy NASCAR Cup Series entry driven by Danica Patrick in 2016, according to a report from NBC Sports. The filing is part of an ongoing dispute between Stewart-Haas Racing and Nature’s Bakery since the snack food company has backed out of its sponsorship agreement with the race team, resulting in SHR filing a $31 million breach of contract lawsuit against Nature’s Bakery. The contract between the two entities was a multi-year contract that began in 2016. According to the most recent documents filed by Stewart-Haas Racing, Nature’s Bakery received about $11.5 million in media exposure by sponsoring Patrick’s car last season. The filing was in response to Nature’s Bakery claims that it did not see the return it was led to believe it would see as her sponsor. Nature’s Bakery stated in documents it filed in late February that “SHR’s promises were illusory and misleading. There was no massive increase in sales.” The snack food company also said that the return it was seeing did not justify the more than $17 million it paid SHR last year. In previous back-and-forth claims between Stewart-Haas Racing and Nature’s Bakery, SHR claimed that Nature’s Bakery’s payment schedule was modified multiple times at Nature’s Bakery’s request, and Nature’s Bakery accused Patrick of promoting a competing product on Twitter, specifically a protein bar, even though Nature’s Bakery does not market a protein bar.